A Peter Pan quote decal from our collection of Peter Pan wall stickers to decorate the bedroom or play area of the little ones. “Never say goodbye because goodbye means going away and going away means forgetting.”. 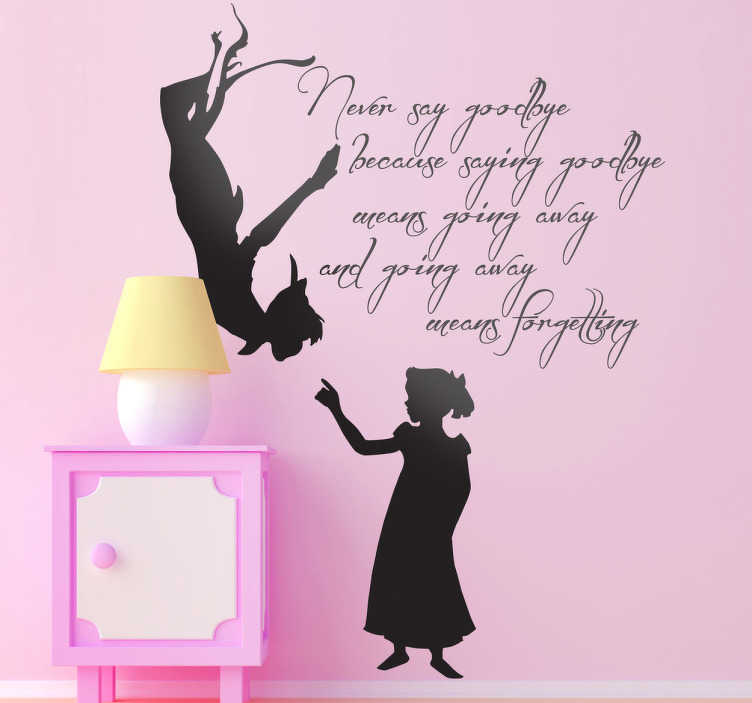 This text design from Peter Pan is ideal for decorating areas for children. Available in various sizes and in 50 colours. Easy to install and remove.